Change and transformation require willpower. Be it a new fitness plan, dieting, New Year’s resolution or any other personal development. In order to create lasting change, you need perseverance. Setbacks and resistance are normal occurrences in any process of change. This is the point where willpower comes in. To get back on track, willpower is needed. However, willpower is a limited resource that can be depleted. If you want to hit your goals, you have to have the right amount of willpower. Willpower is simply the ability of an individual to control himself or herself. It’s a certain level of inner strength that is associated with motivation and determination. Willpower is what one uses when deciding not to drink beer when trying to quit being an alcoholic. Your personality will determine how much you struggle with willpower. Some personalities will be driven more than others and will find willpower easier to command and control. Where does our willpower come from? Normally, willpower is an expression that is used by everybody without even being noticed. It’s a concept that isn’t visible and easy to understand. 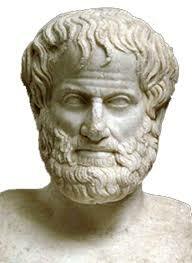 However, from a philosophical point of view, its origin can be traced in metaphysics and more particularly in Aristotle. It was then spread into some western religions and became a first-class virtue. Both Metaphysics and religions believe that willpower comes from an individual’s free will. On the other hand, psychoanalysis proposed some objections to both the concept of ‘will’ and ‘willpower’ as a result of the discovery of the unconscious mind. According to psychoanalysis, all conscious processes are only tips of the iceberg’ in people’s mental activities. In real life, the thoughts and actions of different people are largely determined by forces that are not the will, but rather the unconscious mind. For instance, the ‘lapsus linguae’ also called Freudian slips, episodes where an individual wants to say a single thing, but without meaning to’ he or she ends up saying a different thing. A person’s unconscious mind is also said to be responsible for `parapraxis’ which is a situation where one decides to do a certain activity but ends up doing it completely different from the expectation. We normally see this in our daily lives. Someone getting ready early enough for an appointment, but accidentally arrives late or fails to arrive. Or someone may decide to do a good job at work, but ends up having another busy schedule that won’t give space for the tasks. According to psychoanalysis, the will isn’t a force, but rather an expression of an unconscious desire. This is the reason behind many plans being postponed, decisions being changed that never become a reality, or even failure of intentions to turn into practical actions. Is there a part of our brain responsible for willpower? The prefrontal cortex is the brain part located right behind the forehead and eyes that is responsible for analyzing thoughts, abstract thinking and also behavior regulation. Some of these include making choices between the wrong and right, meditating conflicting thoughts, and even predicting the outcomes of different choices. The prefrontal cortex simply controls what one pays attention to, what he or she thinks, feels and what action to take. 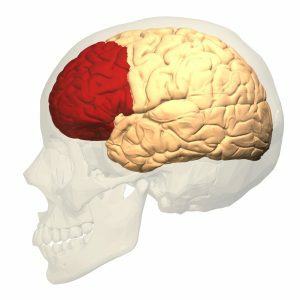 Throughout human evolution, the prefrontal cortex has continued to expand in size which is a clear indication of a strong selection pressure regarding its continued evolution and growth. In fact, within the last 5 million years ago, the size of the brain is said to have increased by about threefold, whereas the size of the prefrontal cortex is believed to have increased by six-fold within the same period. According to research, the prefrontal cortex is said to be the last brain part to mature, i.e. its development isn’t complete until around 25 years of age. It’s the reason behind many sensible and intelligent teens engage in high risk and excessive behavior, even though they know the possible consequences. How do you strengthen your willpower? It’s essential to increase your capacity for pressure in order to strengthen our willpower. This is because high levels of stress translate to our bodies utilizing more energy in acting instinctively and making some decisions based on the short-term outcomes. In this case, the prefrontal cortex loses the battle for energy when high-stress levels are involved. You just need to stop and take a few breaths whenever you feel tempted or overwhelmed in order to improve your willpower. Taking a balanced diet and regular physical exercise are great ways of training your brain to make it more resilient to stress and to boost willpower. Some people tend to take a balanced diet and ignore or undervalue the exercise aspect which shouldn’t be the case. Mindful exercises such as yoga and other intense physical activities will help boost your willpower. Remember that the kind of foods you take affect the amount of energy your prefrontal cortex has to work with. So ensure you check on your diet. Meditation has been shown to increase the reserve of the available willpower, as well as improving focus, attention, and self-awareness. According to research, meditating for 10 minutes in 2-3 days will make your brain focus better, have more energy, and you’ll also be less stressed. This is of great importance when it comes to increasing willpower. For instance, if you’re a regular smoker and you need to quit the habit completely, then you have to do the necessary today, every day, forever in that order for cigarette avoidance which is how willpower is increased and self-discipline is attained. Quicker than expected, you’ll soon be celebrating one week, one month, one year and then forever. This willpower strengthening technique can be used in any goal type you’re seriously attempting to achieve. Getting enough sleep will make a big difference in how efficiently the prefrontal cortex will work. Sleep deprivation is a type of chronic stress which impairs the proper use of energy in the body and brain. In this case, the prefrontal cortex is hit hard and loses control over brain regions that bring cravings and stress response. In conclusion, these are some of the top ways on how to strengthen your willpower. Just like muscles in the body, willpower can be strengthened using the right practice.